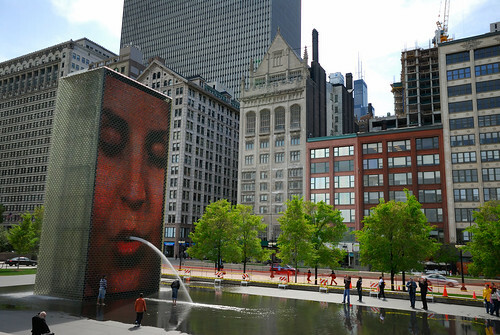 This crazy looking fountain is a pair of interactive art/video sculpture in Chicago's Millennium Park known as Crown Fountain. The fountain complex is composed of a black granite reflecting pool placed between a pair of towers having glass brick on the wall facing the other tower. The towers are about 15 metres high and the inward glass walls of the two towers are embedded with LEDs to display digital videos. 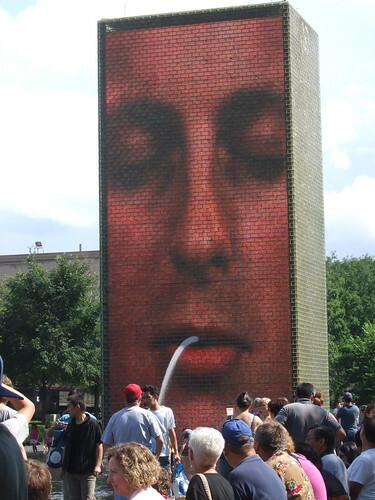 The displays are either some scenery or video clips of facial expressions of about 1000 local residents. 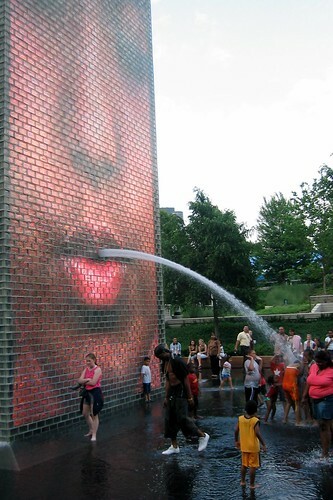 Towards the end of a person's facial display, they purse their lips and water shoots out of their mouths. 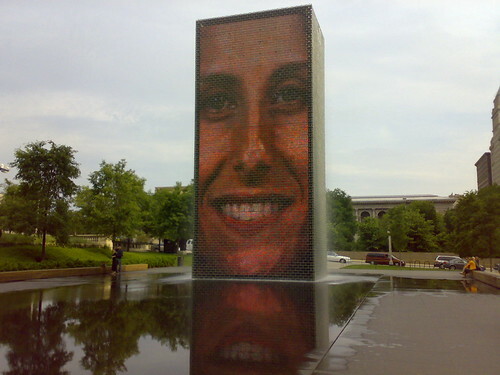 Designed by Catalan artist Jaume Plensa, it opened in July 2004 and cost a whopping $17 million. It is a popular subject for photographers/tourists and a common gathering place for young and old. Children love to frolic in the fountain's water. Beside water spout the water also cascades down the towers and operates from May to October.